For those of you who know the My 52 Weeks of Worship story, you know that August 24th is a sacred day for me. 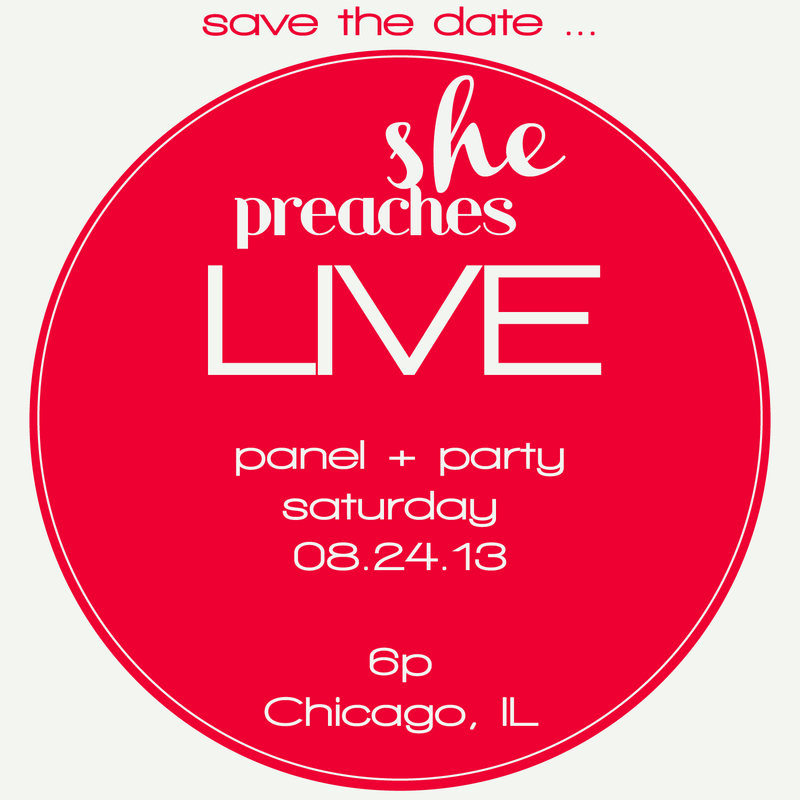 I am honored that on August 24th, this year, I will be able to be in the presence of powerful women of faith on a panel sponsored by ShePreaches Magazine. Sharing our stories, discussing the impact the divine has had in our lives, and celebrating the launch of the spirit-filled brainchild of the fantastic and inspiring Reverend Neichelle Guidry Jones. If you live in or near Chicago, mark your calendars. I hope that you will be able to come out. More information to come. For more information about ShePreaches, visit www.shepreaches.com.